Join TGC Chicago and The Orchard Network this October as we gather to affirm and celebrate our commitment to the complete trustworthiness and absolute authority of Scripture. 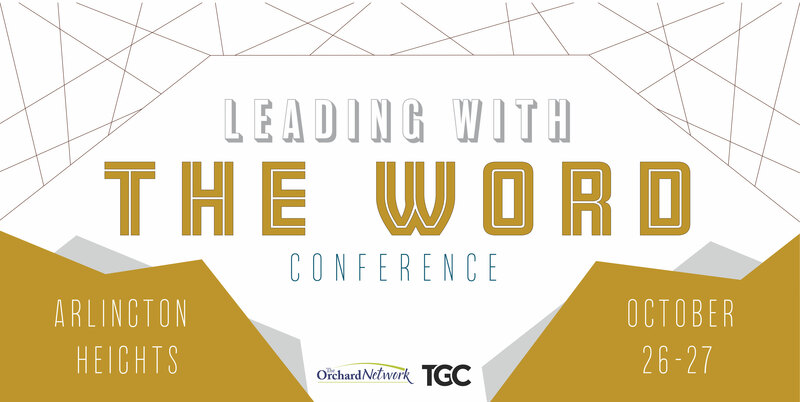 Leading with the Word will include teaching from TGC council members from the Chicago area. The conference will encourage and equip believers to take the highest view of the Bible and its application in the church, in preaching, teaching and in their own spiritual lives. The goal is that attendees will walk away with a fresh commitment to press on in gospel-centered ministry, confident in the power of the Word of God. 8:15 p.m.: Session 2 | D.A. Carson - How Can We Be Sure of Our Interpretation? Tickets will be available online until October 26 at 4 p.m. and can be purchased at the door, unless the conference sells out. There are two parking lots available. Enter in from the east on Douglas Avenue or the west on Belmont Avenue to access each lot. The church's café will be open for sales on Friday 5:30-8:15 p.m. and Saturday from 8-11 a.m.
* If you are interested in exhibiting, please contact Grace. * If you are interested in volunteering, please contact Grace.